Triple the zing in these Coconut-Curry Salmon with lime, lively spice and a creamy coconut sauce. 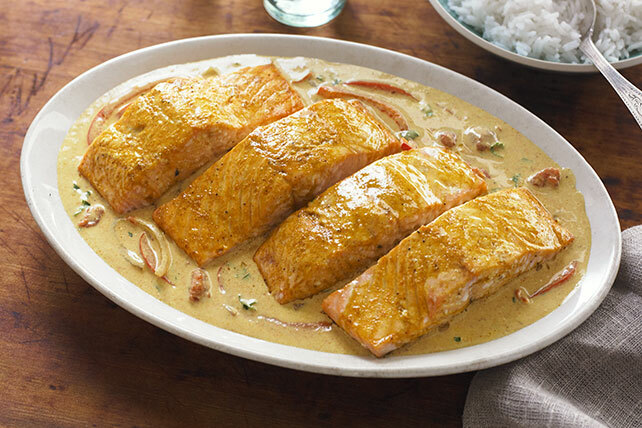 Take a delectable taste tour with Coconut-Curry Salmon! Serve with hot cooked jasmine rice. You can purchase curry in two basic styles - standard, which is mild, and madras, which is hot.